What would happen if terrorists detonated a nuclear device high above the United States? 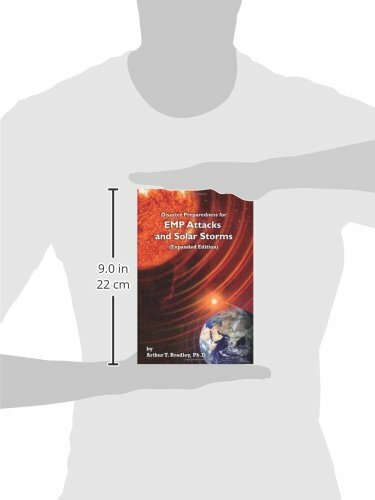 What about if the Sun emitted a large coronal mass ejection that resulted in a damaging geomagnetic storm? In either case, electrical power could be lost for months. Shortages would quickly ensue—food, water, and fuel would disappear within days. Widespread panic and suffering would be unavoidable. Are you prepared for these large-scale disasters? 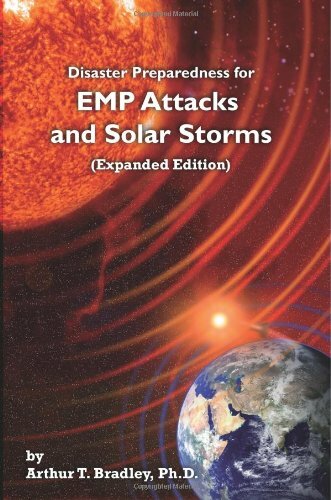 This book will help you to prepare for two end-of-the-world-as-we-know-it (TEOTWAWKI) events: the EMP attack and the solar storm. Each threat is carefully studied with analyses of its likelihood and potential impacts on our nation’s critical infrastructures. Practical preparations are outlined, including steps to meet the fourteen basic needs in the absence of modern utilities, and the use of Faraday cages and uninterruptible power supplies to protect personal electronics. Several techniques for constructing ad-hoc Faraday cages are presented. 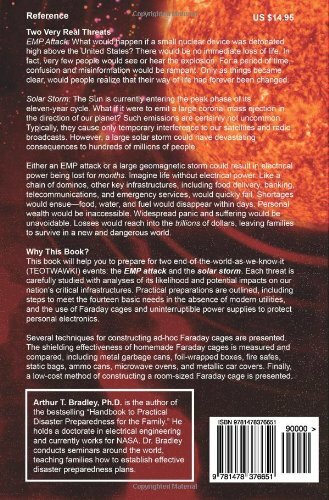 The shielding effectiveness of homemade Faraday cages is measured and compared, including metal garbage cans, foil-wrapped boxes, fire safes, anti-static bags, ammo cans, microwave ovens, and full-sized protective rooms.